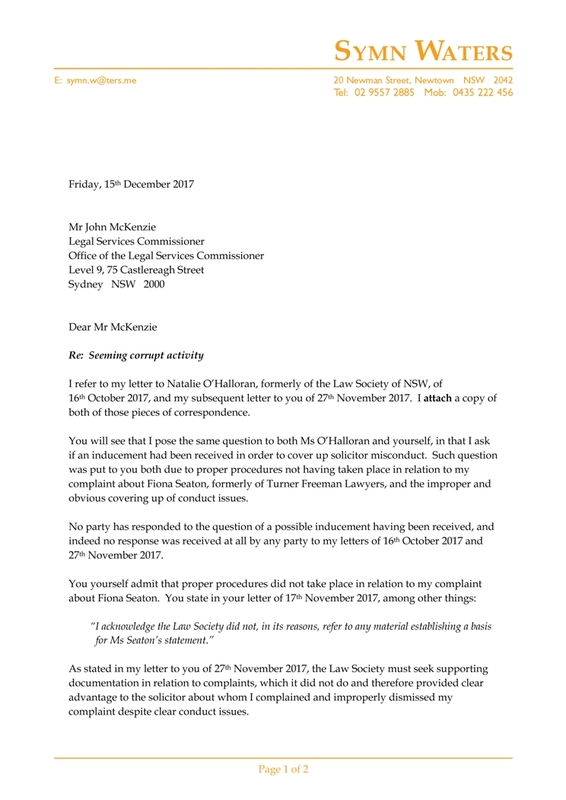 "I think at this stage that we can quite fairly and properly state as fact that you are covering up not only issues of serious misconduct, but also acts of criminality. 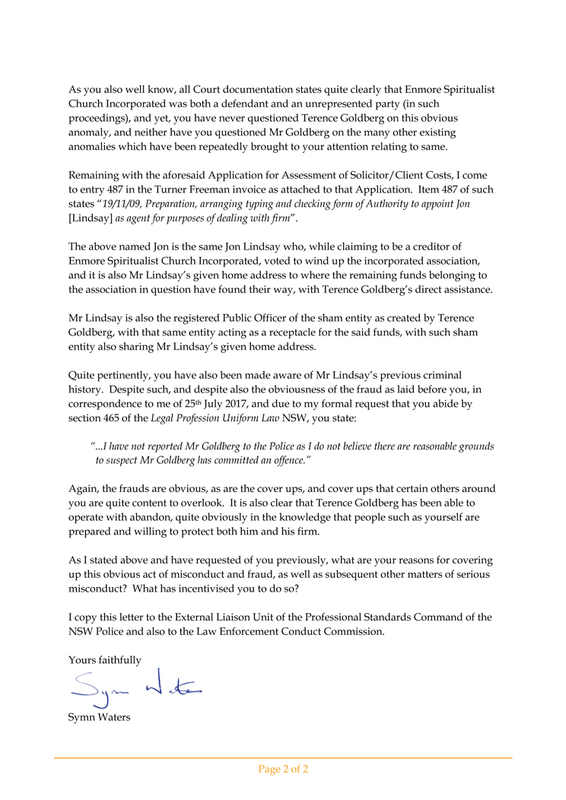 The outstanding question is why you are doing so." 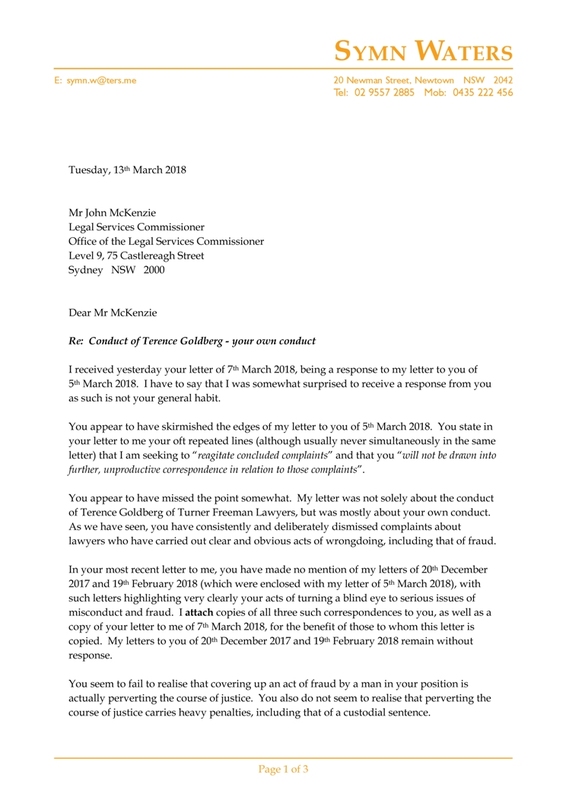 "You have a longstanding history of abusing your position as legal services commissioner to provide advantage to others. 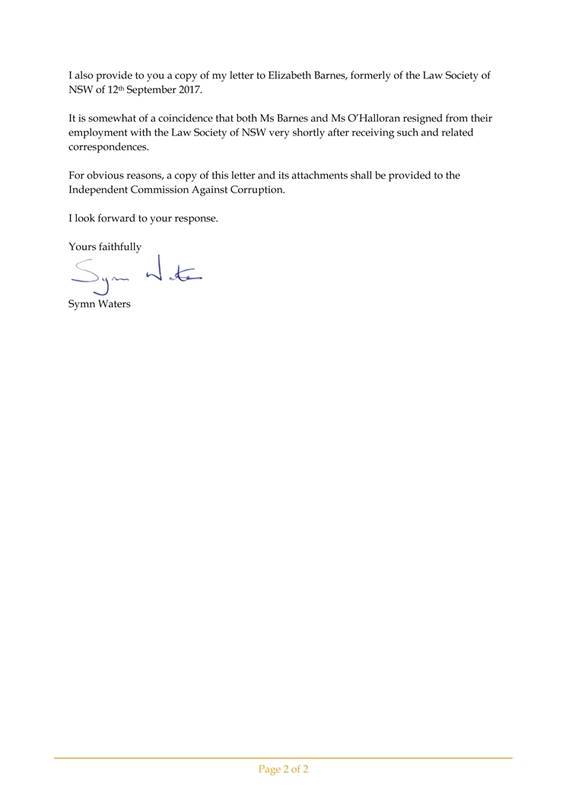 The question remaining is why you are doing so." 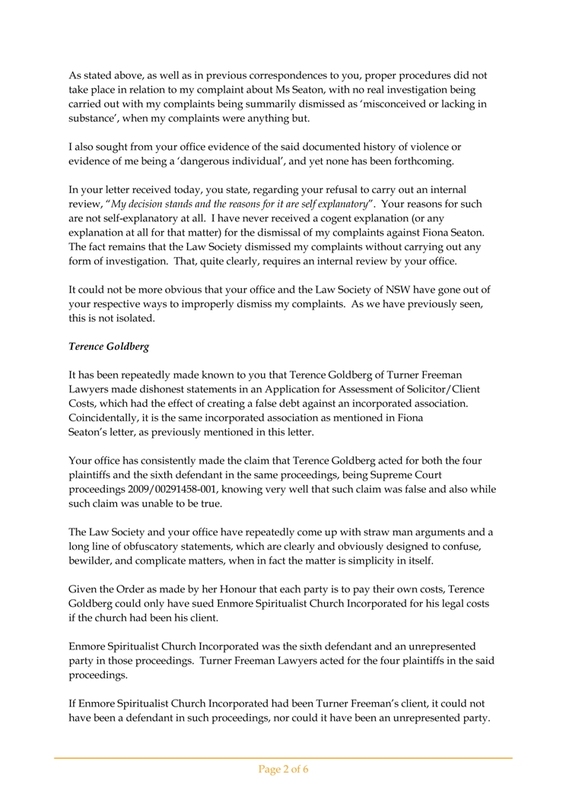 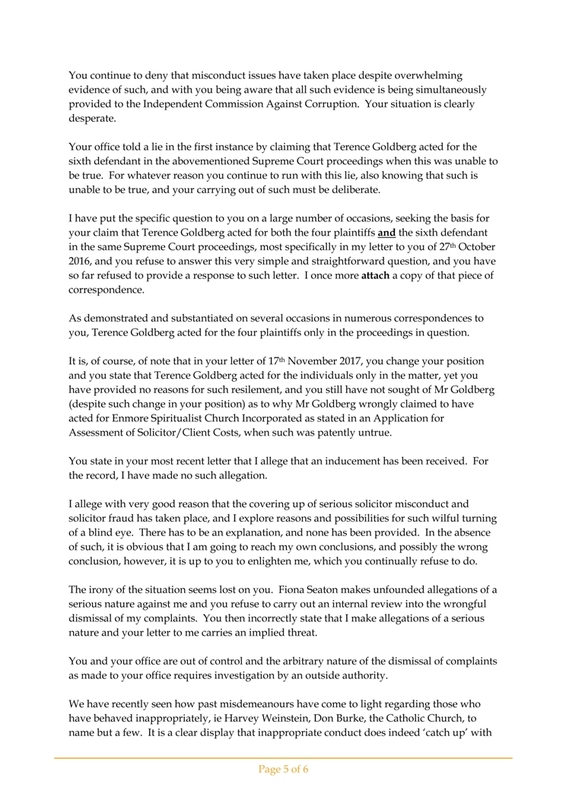 "I have put the specific question to you on a large number of occasions, seeking the basis for your claim that Terence Goldberg acted for both the four plaintiffs and the sixth defendant in the same Supreme Court proceedings and you refuse to answer this very simple and straightforward question"
“In two rare moments of clarity you admitted that the statements made by Terence Goldberg were false and also that Terence Goldberg did not in fact act for the incorporated association in question, but actually acted for four individuals." 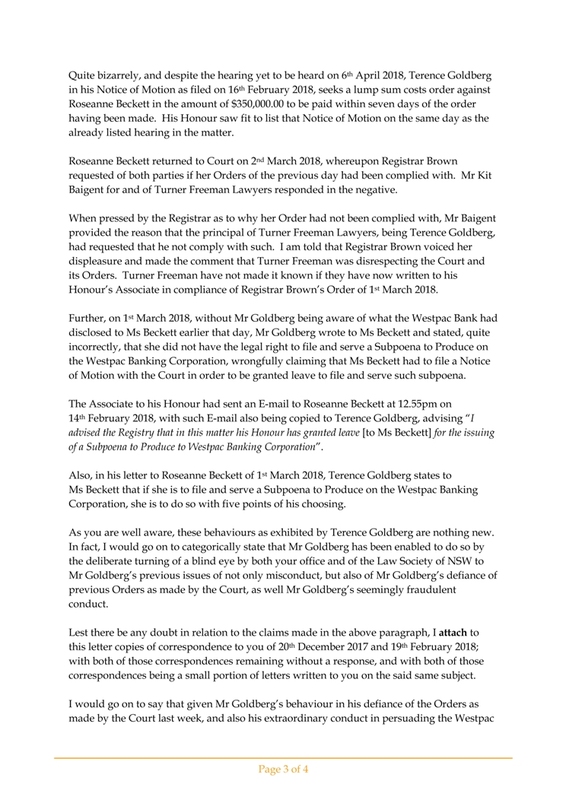 “I daresay that you would not be foolish enough to provide untrue statements to the Court in relation to such, but given your past performance, maybe you would indeed be foolish enough to do so." 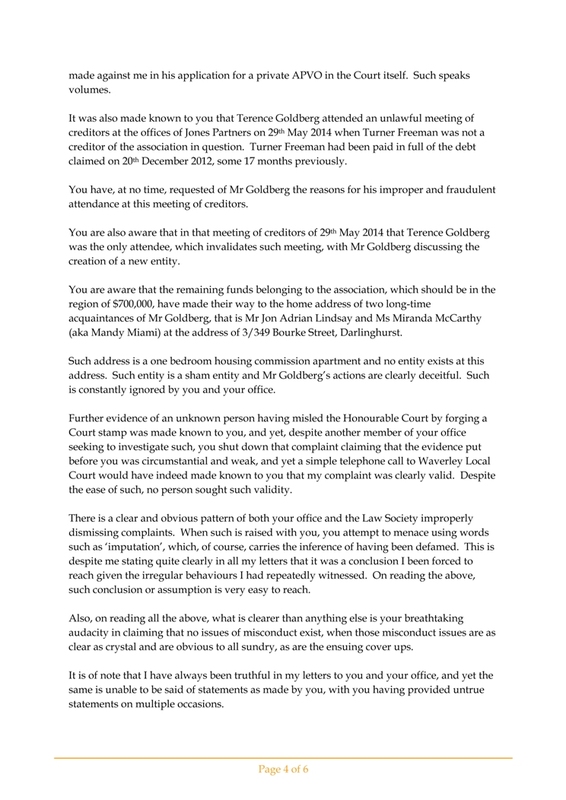 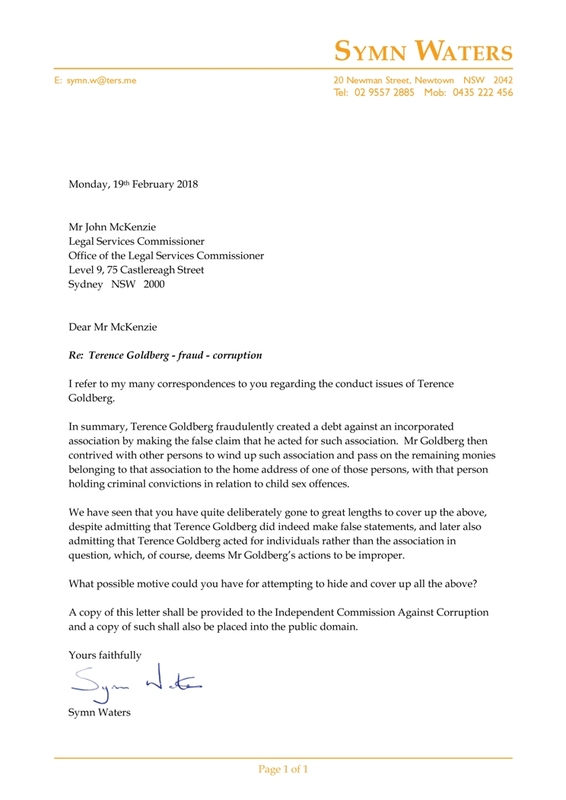 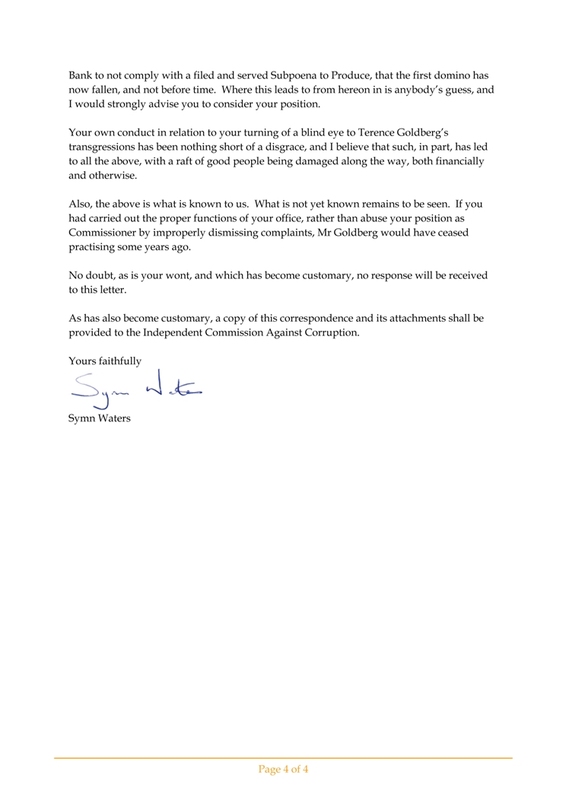 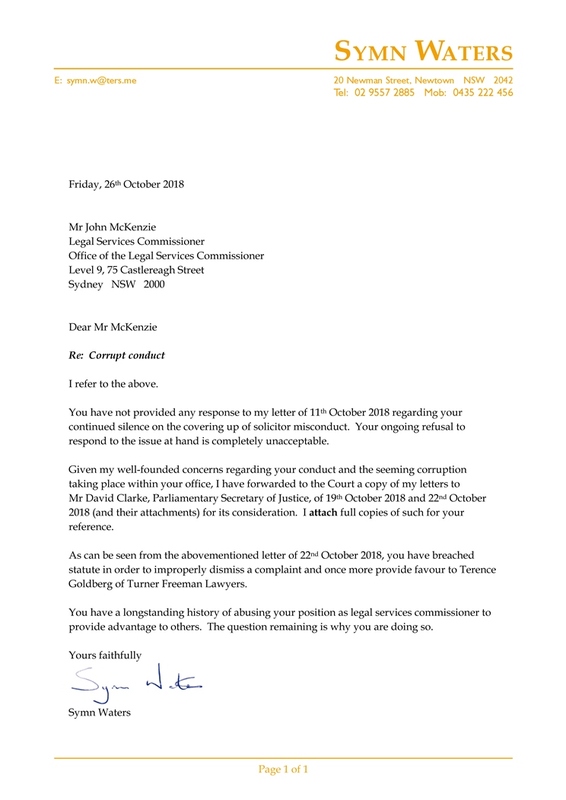 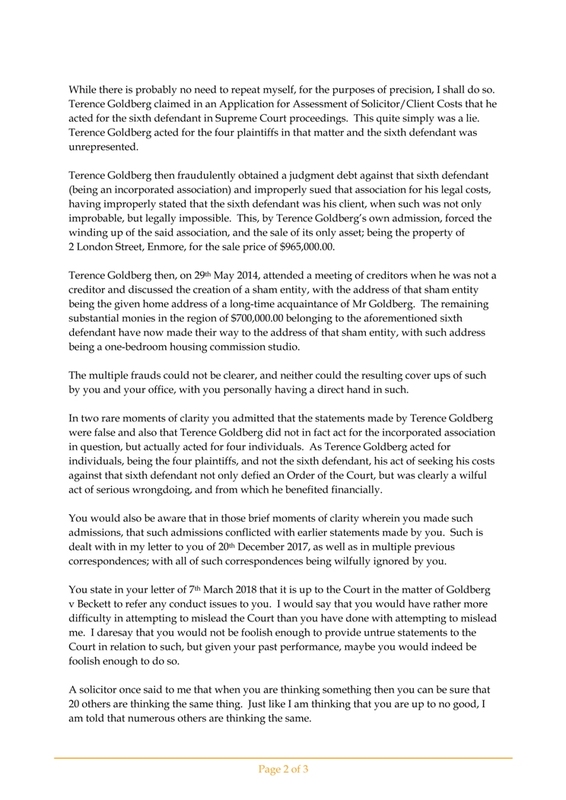 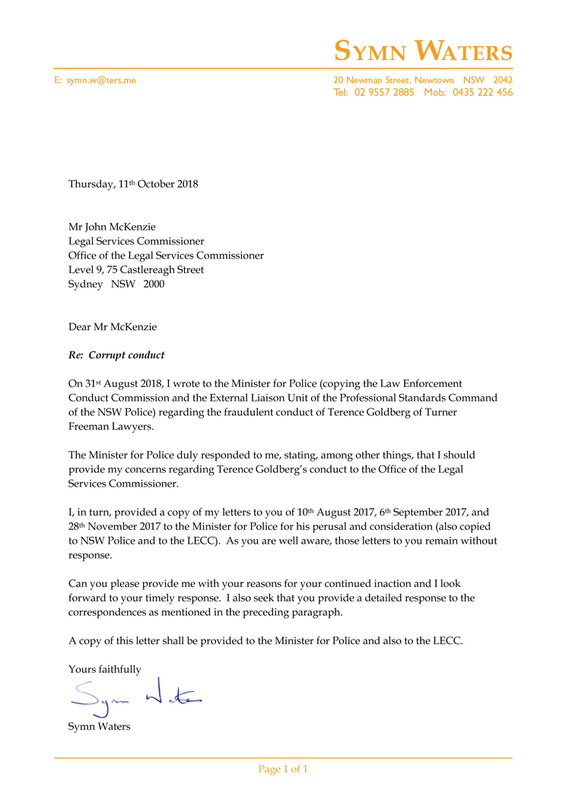 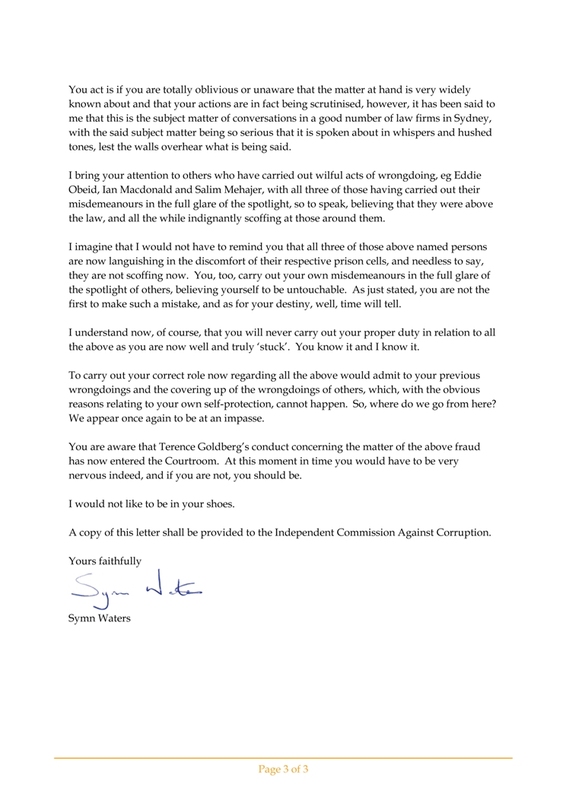 “To the extent that your letter seeks to reagitate your concluded complaints about Mr Goldberg, and as previously stated, I will not be drawn into further, unproductive correspondence in relation to those complaints." 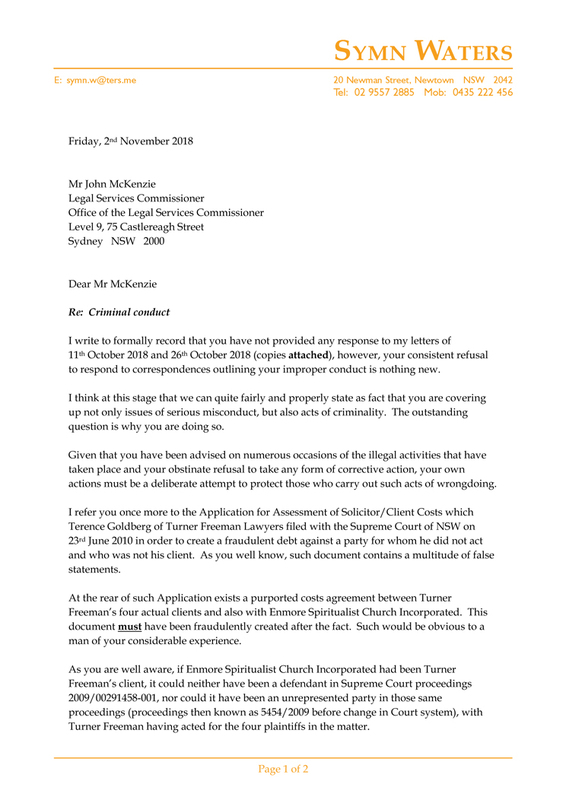 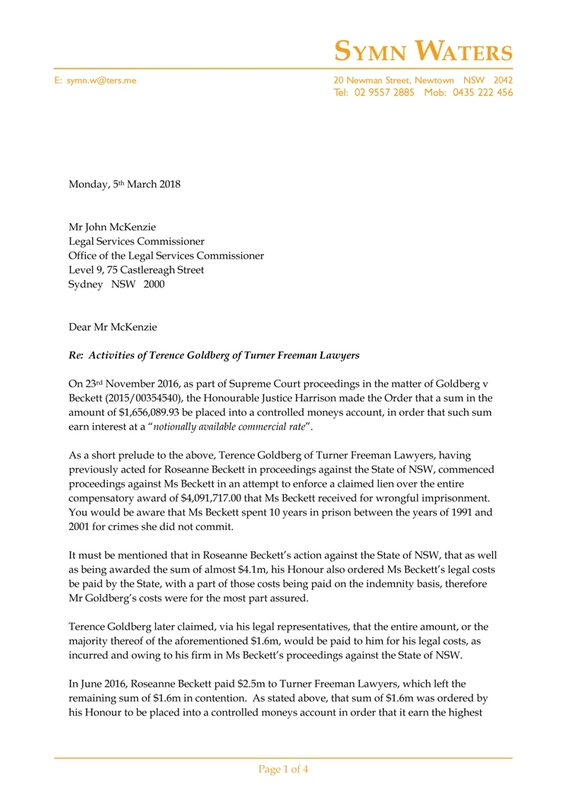 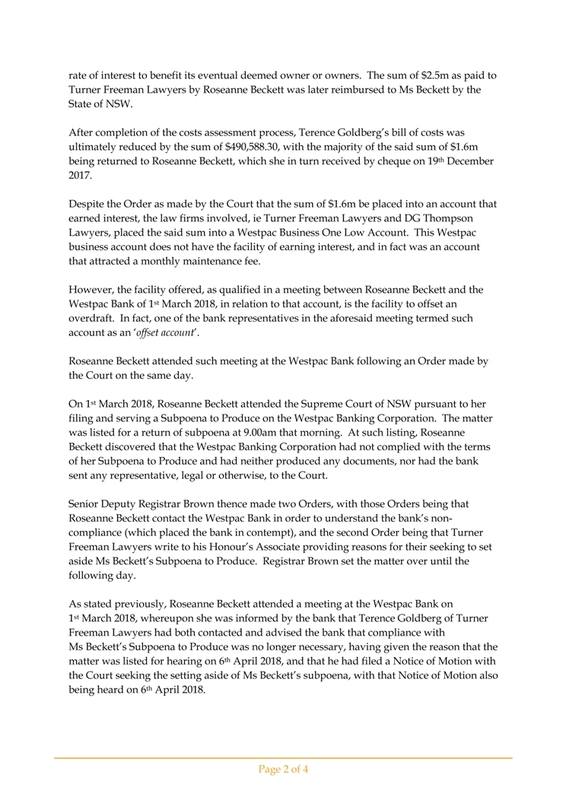 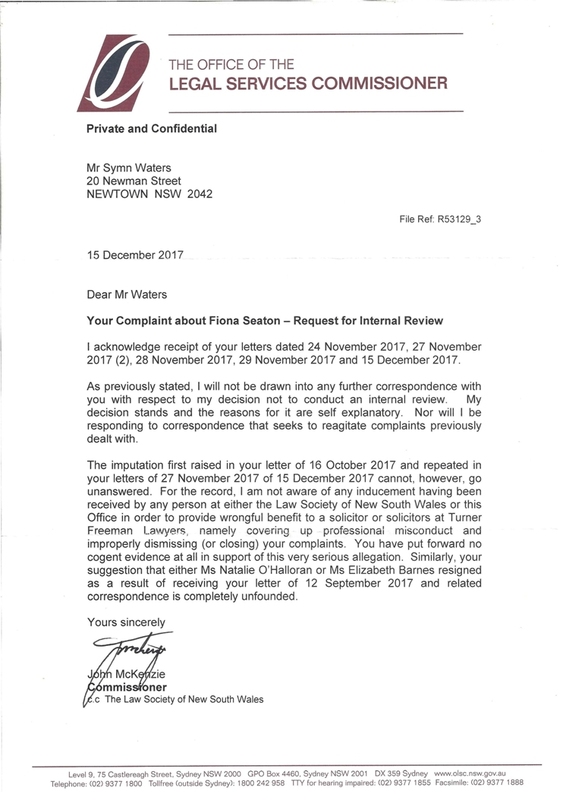 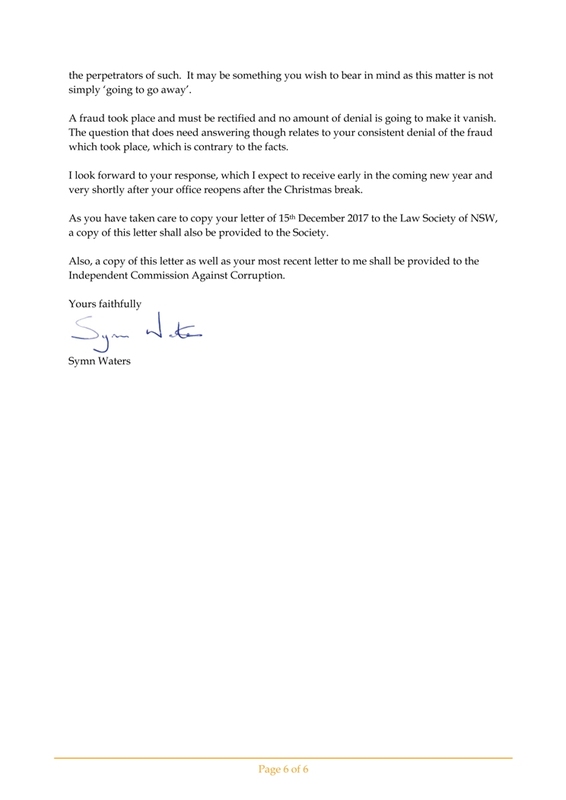 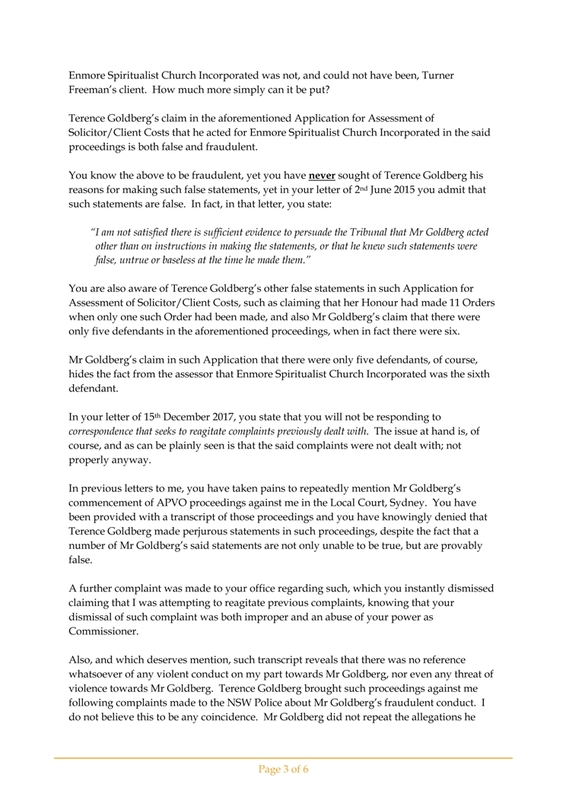 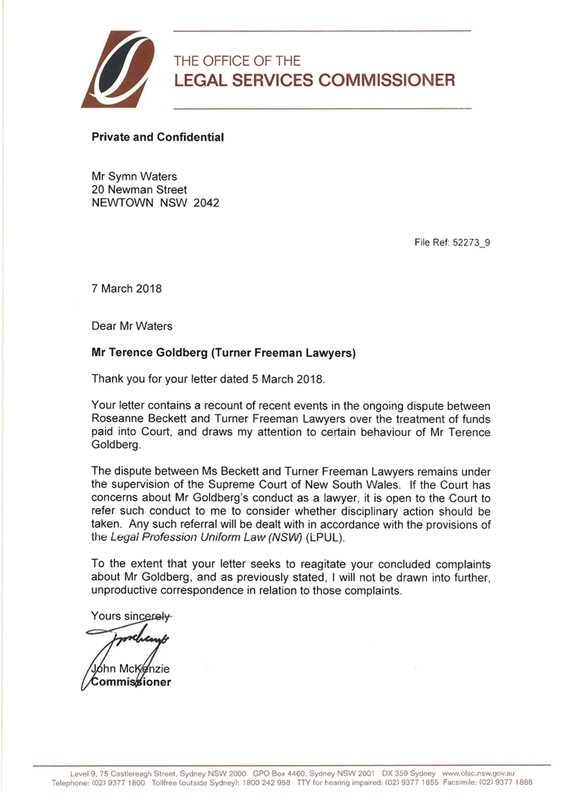 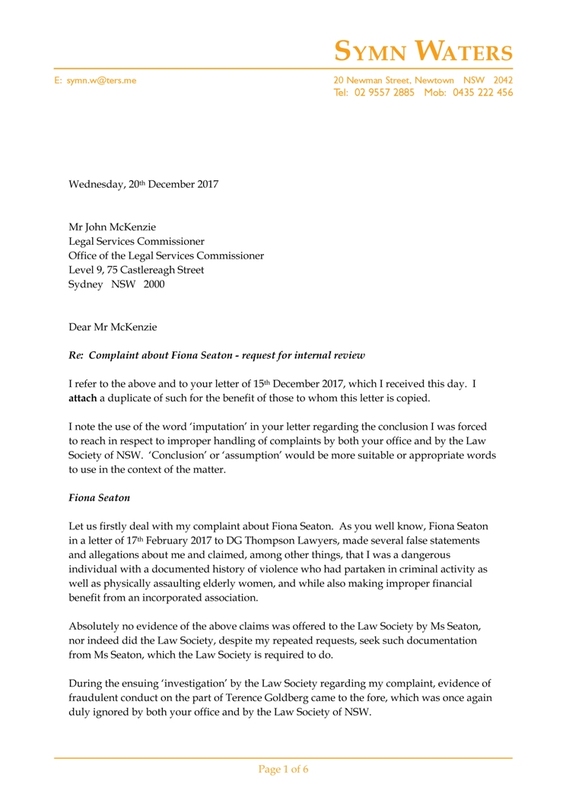 "...arising from Mr Goldberg's representation of the late Reverend Patricia Cleary and other members of the Enmore Spiritualist Church lncorporated in relation to the litigation that concluded in 2009 and subsequent dissolution of the Church."